On the Spring 2015 runways, makeup artists used lash glue and liquid liner to fake facial piercings. 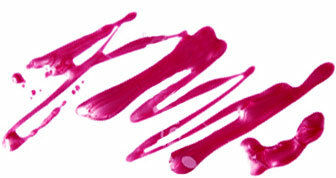 And thanks to artists like Pat McGrath and Dior’s Peter Philips, appliqué makeup is so hot right now. Now the two trends have converged in a sparkling editorial for Marie Claire Russia shot by photographer Jamie Nelson. 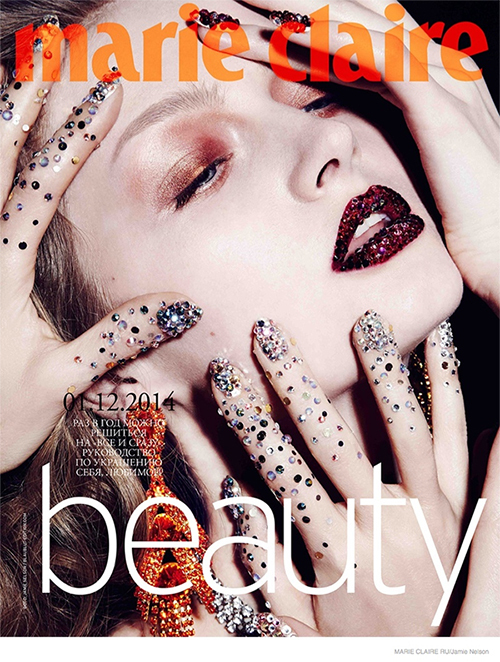 In the spread, models Maria K and Adele Uddo don crystals and metallic makeup on their nails, lips and lids. Who needs jewelry when your hands and face look like this? The uber-talented beauty team behind the looks included makeup artist Georgina Billington and manicurist Julie Kandalec. Fancy some beauty jewelry of your own? Head to NYC’s Paintbox nail salon, where Kandalec is Creative Director; the Holiday Capsule Collection features her chicest bejeweled designs. See the full editorial at Fashion Gone Rogue.